Sproutly’s core mission is to become the leading supplier to the cannabis beverage and consumables market. Our Toronto based, ACMPR licensed facility was built to cultivate pharmaceutical grade cannabis to supply a technological breakthrough in producing and formulating the first natural, truly water-soluble cannabis solution. Our water-soluble ingredients and bio-natural oils will deliver revolutionary brands to international markets that are clamouring for well-defined commercial products. Sproutly’s business focus is to execute on partnerships with local and globally established consumer brands to leverage their existing customer bases, further expand brand loyalty, assist with marketing, and support distribution networks to deliver this scientific breakthrough with speed and efficiency worldwide. Our core value is the pursuit and development of unique technologies for the production, processing, and delivery of cannabis. Talent drives growth. Sproutly is focused on attracting the best and brightest minds in the cannabis space while providing them with the tools and resources that will allow them to succeed. Sproutly will deliver products and brands that its customers and consumers can depend on. Keith Dolo most recently served for over 13 years with Robert Half, an S&P 500, NYSE listed company. He previously held the role of Vice President for the past 8 years and prior to that held other senior roles in both operations and sales prior to joining Sproutly Inc. Mr. Dolo’s role will be to provide direction, oversight and guidance to all functions of the organization. Keith is well versed in working effectively with boards, clarifying the external and internal competitive landscape, unearthing opportunities for expansion, serving customers, and leveraging new industry developments and standards. Mr. Dolo sits on an advisory committee and a board position for two non-profits in Vancouver, BC. Keith holds a Bachelor of Commerce from the University of Saskatchewan and is an active member in the Vancouver community. Dr. Sen has 35+ years in research and executive management positions at biotechnology and pharmaceutical companies, negotiated and managed licenses and joint ventures with J&J, Biomet, GCC and Tokuyama Soda of Japan, Eastman Kodak and Sandoz/Novartis. His work during the past decade led to the invention of proprietary technologies that produce unique water soluble minerals, micronutrients, including phytochemicals. Arup was awarded a Ph.D. in biochemistry from Princeton University and is a former faculty member at the National Cancer Institute (Bethesda, Maryland) and at the Scripps Research Institute (La Jolla, California) focused on cancer research. Dr. Sen is the inventor on five (5) US patents and numerous international patents and pending patent applications in the fields of cancer therapeutics, bone repair biologics and devices and diagnostics. Craig Loverock is a Chartered Professional Accountant with over 20 years’ experience in accounting and finance roles in Canada, the United States, and England. He is presently the CFO of Contagious Gaming Inc. (CNS:TSXV). He brings with him public company reporting and transactional experience, as well as having provided CFO consulting services to a number of private high growth technology businesses, serving as the Senior Financial Advisor to the Chairman at Magna International, and acting as the Chief Compliance Officer and CFO for a private equity firm. Mr. Loverock received his B.Comm (Hons) from Carleton University in 1994 and received his Chartered Accountant’s designation from the Institute of Chartered Accountants, Ontario in 1997. He is currently the treasurer of the Durham Community Foundation. A seasoned executive with proven operational leadership, Karin currently champions Sproutly’s vision, mission and strategic objectives. As a Director in one of Canada’s leading financial institutions, she executed the strategies within the retail banking and wealth management segments, achieved market-leading business growth and maximized stakeholder value while building customer relationships and employee engagement. With an extensive regulatory background, Karin oversees the governance and compliance framework as it relates to the ACMPR rules and regulations. A seasoned executive with over 30+ years leading global innovation and marketing teams for Fortune 200 companies including Kimberly-Clark (NYSE:KMB), Anheuser-Busch InBev (NYSE:BUD), and Labatt. Mr. Semkuley earned his Bachelor of Commerce degree with a concentration in Marketing from the University of Calgary. He has also received additional education through the University of Michigan and University of Pennsylvania schools of business. Among his numerous business awards and recognitions, Bryan is the co-author of two business model patents, a recipient of the Top 50 Marketers of the Year award from Advertising Age, and being recognized as a Top 40 under 40. Prior to joining Sproutly, Melise worked at General Mills, PepsiCo and most recently SC Johnson where she held an executive position as the Head of Marketing | Customer Marketing for Canada, as well as Director of Sales (200+ customers across all classes of trade). She has a forward thinking mentality and has blazed new trails. Her innovative thinking has resulted in new ways to break down consumer and customer barriers. Whether it be relaunching Tostitos in Canada, managing 100+ SKUs in an innovation pipeline for PepsiCo or elevating SC Johnson’s relationship with key retail customers, Melise is known for employing unique strategies to deliver results. Melise earned her Honors Bachelor of Science degree from the University of Western Ontario and her Masters of Business Administration degree from York University. Among her numerous business awards and recognitions, Melise has earned a number of Best New Product Awards as well as Strategy Magazine’s Shopper Innovation award. Mr. Marcellino holds a degree in Chemistry and has served as CEO of an award-winning nutraceutical company focused on innovative cultivation, extraction and product development. Mr. Marcellino brings the ability to not only see opportunity, but also provide strategic operations leadership and networking internationally through research, planning, and execution. Sproutly Enters Into Exclusive Technology License With Micronutrient Technologies Inc.
VANCOUVER, BC, April 8th, 2019 – Sproutly Canada, Inc. (CSE: SPR) (OTCQB: SRUTF) (FSE: 38G) (“Sproutly" or the “Company”) is pleased to announce that it has hired Ogilvy Canada (“Ogilvy”) as its integrated brand development agency. Ogilvy is a global award-winning creative agency that does brand work for Fortune Global 500 companies as well as local businesses across 131 offices in 83 countries. Ogilvy’s Toronto office will deliver world-class creative and impactful communications strategies to promote the launch of Sproutly’s brands into the Canadian cannabis market. As the Company approaches the legalization of edibles and beverages slated for October of this year, Sproutly is developing its brand and partnership strategy tied to its exclusive license of Aqueous Phytorecovery Process (APP) technology that it obtained through the acquisition of Infusion Biosciences Canada Inc. APP technology is the only patent-pending process which is able to produce naturally water-soluble cannabinoids that deliver the full experience of cannabis with on-set effects starting within approximately 5 minutes and dissipating within approximately 90 minutes, offering consumers a predictable and consistent cannabis experience. "With award-winning creativity and a deep understanding of our consumers, Ogilvy will be a valuable partner in helping Sproutly to launch into the beverage and edibles market with a brand and strategy that uniquely delivers the rapid onset benefits of our APP proprietary technology" said Melise Panetta, Vice President, Marketing and Sales, for Sproutly. “Sproutly is an incredibly innovative company with a unique value proposition. We are excited to partner with Sproutly in building a brand that will offer newcomers to the beverage and edibles market a best in class cannabis experience. We understand that in the rapidly growing cannabis category, the role of branding will be paramount in winning over new consumers” said Brian Murray, Chief Creative Officer, Ogilvy Toronto. Ogilvy has been producing iconic, culture-changing marketing campaigns since the day its founder David Ogilvy opened up a shop in 1948. Today, Ogilvy is an award-winning integrated creative network that makes brands matter for Fortune Global 500 companies as well as local businesses across 131 offices in 83 countries. The company creates experiences, design and communications that shape every aspect of a brand's needs through six core capabilities: Brand Strategy, Advertising, Customer Engagement and Commerce, PR and Influence, Digital Transformation, and Partnerships. Ogilvy is a WPP company (NYSE: WPP). For more information, visit http://www.ogilvy.com/, or follow Ogilvy on Twitter at @Ogilvy and on Facebook.com/Ogilvy. For more information on Ogilvy Canada, visit www.ogilvy-canada.com. Cautionary Note Regarding Forward-Looking Statements: This release includes certain statements and information that may constitute forward-looking information within the meaning of applicable Canadian securities laws or forward-looking statements within the meaning of the United States Private Securities Litigation Reform Act of 1995. Forward-looking statements relate to future events or future performance and reflect the expectations or believes regarding future events of management of Sproutly Canada. Generally, forward-looking statements and information can be identified by the use of forward-looking terminology such as “intends” or “anticipates”, or variations of such words and phrases or statements that certain actions, events or results “may”, “could”, “should”, “would” or “occur”. This information and these statements, referred to herein as "forward‐looking statements", are not historical facts, are made as of the date of this news release and include without limitation, statements regarding discussions of future plans, estimates and forecasts and statements as to management's expectations and intentions with respect to, among other things, the expected launch of the Company’s first line of beverage products. These forward‐looking statements involve numerous risks and uncertainties and actual results might differ materially from results suggested in any forward-looking statements. These assumptions, risks and uncertainties include, among other things, the Company successfully completing the development and production of its first line of beverage and cannabis products and obtaining all applicable regulatory approvals from global jurisdictions including Health Canada. Although management of the Company has attempted to identify important factors that could cause actual results to differ materially from those contained in forward-looking statements or forward-looking information, there may be other factors that cause results not to be as anticipated, estimated or intended, such as the Company’s inability to successfully develop and produce its first line of beverage products or the Company’s inability to obtain any necessary regulatory approvals. There can be no assurance that such statements will prove to be accurate, as actual results and future events could differ materially from those anticipated in such statements. Accordingly, readers should not place undue reliance on forward-looking statements and forward-looking information. Readers are cautioned that reliance on such information may not be appropriate for other purposes. The Company does not undertake to update any forward-looking statement, forward-looking information or financial out-look that are incorporated by reference herein, except in accordance with applicable securities laws. We seek safe harbor. VANCOUVER, BC, April 1, 2019 – Sproutly Canada, Inc. (CSE: SPR) (OTCQB: SRUTF) (FSE: 38G) (“Sproutly" or the “Company”), is pleased to announce that the Company’s wholly-owned subsidiary, Toronto Herbal Remedies Inc. (“THR”), a licensed producer under the Cannabis Act, has received a processing licence from Health Canada effective March 29, 2019 (the “Processing License”). The Processing License allows THR to produce cannabis oil and related products and will also allow the Company to conduct certain research and development activities, including the formulation of proprietary beverage products. The development of Infusion Biosciences’ APP technology and the creation of its Infuz2O and Bio Natural Oil, is based on over 12 years of R&D on the recovery of water-soluble phytochemicals from medicinal plants and over 25 years in discovery and development of biotechnology and pharmaceutical drugs. VANCOUVER, BC, March 28, 2019– Sproutly Canada, Inc. (CSE: SPR) (OTCQB: SRUTF) (FSE: 38G) (“Sproutly" or the “Company”), today is responding to a request from the Investment Industry Regulatory Organization of Canada (“IIROC”) due to the recent trading activity in the Company’s stock. The Company is currently negotiating with a beverage company regarding a potential partnership to jointly develop and market cannabis-infused beverages (the “Potential Transaction”). Sproutly remains optimistic that the Potential Transaction will be successfully completed by the end of April, however there can be no assurances that the Potential Transaction will be completed, or completed in a timely manner. In accordance with applicable disclosure requirements, Sproutly will advise the market of any material transaction as it occurs. VANCOUVER, BC, March 18, 2019– Sproutly Canada, Inc. (CSE: SPR) (OTCQB: SRUTF) (FSE: 38G) (“Sproutly" or the “Company”) is pleased to announce Sproutly’s premium cannabis brand for the recreational market: CALIBER, designed for the cannabis connoisseur and delivered via Sproutly’s craft cannabis flower production. The Company’s anticipated beverage, edible and derivative products are expected to be marketed under a complimentary portfolio of brands. “Sproutly’s CALIBER brand is being curated with the cannabis connoisseur in mind, a segment we believe to be the largest and most attractive consumer base for high-quality craft cannabis flower. CALIBER is targeted to adults who are looking for a brand distinguished by its consistently premium quality flower and smokable products. As consumers begin to navigate the newly-legalized recreational cannabis market, it is our belief that there is an opportunity within the consumer space for a premium brand backed by consistent and superior product quality.” commented Melise Panetta – Vice President of Marketing and Sales. CALIBER will be the brand under which Sproutly will market its high-quality, small-batch flower and smokable products produced in its Toronto Herbal Remedies (“THR”) production facility. THR is an indoor 16,600 sq. ft. production facility located centrally in the Greater Toronto Area (“GTA”). THR utilizes state-of-the-art production and climate-control technology and methods designed to pharma-grade standards which enables it to produce ‘top-shelf’ premium cannabis flower. Following the receipt of a sales license from Health Canada and ahead of distributing its flower products, Sproutly will roll out a CALIBER brand campaign in compliance with Health Canada's guidelines that will provide consumers with important product education and information, brand highlights, and the vision behind the brand. Sproutly’s core mission is to become the leading supplier to the cannabis beverage and edibles market. Our Toronto based, licensed under the Cannabis Act facility was built to cultivate pharmaceutical grade cannabis to supply a technological breakthrough in producing and formulating the first natural, truly water-soluble cannabis solution. Our water-soluble ingredients and our bio-natural oils will deliver revolutionary brands to international markets that are clamouring for well-defined commercial products. Sproutly’s business focus is to execute on partnerships with local and globally established consumer brands to leverage their existing customer bases, further expand brand loyalty, assist with marketing, and support distribution networks to deliver this scientific breakthrough with speed and efficiency worldwide. VANCOUVER, BC, February 13, 2019– Sproutly Canada, Inc. (CSE: SPR) (OTCQB: SRUTF) (FSE: 38G) (“Sproutly" or the “Company”) is pleased to provide a strategic update on the development of its business to date. Sproutly continues to make substantial progress towards its goal of becoming a global cannabis beverage and edibles company. “Sproutly has made significant progress towards building a world-class cannabis beverage and infused product company since going public in July of last year” said Keith Dolo, CEO and Director. “We have been successful in acquiring the exclusive rights to Infusion Biosciences’ APP technology, in certain jurisdictions, which is able to produce naturally water-soluble cannabinoids that deliver the full experience of cannabis paralleling the onset and offset profiles of smoking. From there, we have made steps to bring in the people and the resources to build a global cannabis branded company focused on beverage and infused products” he added. Sproutly completed its first two harvests of its premium quality, small batch cannabis at its state-of-the-art Toronto Herbal Remedies (“THR”) production facility in Toronto. The results from the harvest were much better than the Company’s internal production expectations. The Company is hoping to achieve the same production results across all 12 of THR’s flowering rooms in its full-scale production; in the event that this is achieved, the total production capacity at THR will increase materially. This is an important milestone for the Company as it looks to ramp up production and shift into sales and extraction as licensing is granted. As a result of the success of the first two harvests, plants are scheduled to be introduced into an additional 10 grow rooms within the next few weeks. The Company is on track to ramp up for full production in calendar 2019 and starting to plant a new room each week moving forward in its perpetual harvest plan. The Company continues to progress on its operational plan with respect to cultivation and extraction and had met its objectives for calendar 2018. Its ACMPR license has been migrated to the Cannabis Act which now provides the ability to sell cannabis to other licensed producers. Further, as of November 10, 2018, the Company also received license amendments approving all of the remaining 16,600 square feet at the facility for additional grow and operations and cultivation. On November 1, 2018, the Company announced that has submitted an “addition of activity” in the month of October, to its Health Canada license, in order to produce cannabis oils. Granting of this license amendment will allow for the Company to begin extraction operations and R&D in its THR Facility. The Company is currently developing its brand strategy around its high quality, small batch flower and anticipates launching in conjunction with receiving its sales license. Sproutly is preparing for the coming launch of cannabis infused beverages in Canada and is contemplating a number of strategies including partnering with existing brands and launching its own portfolio of beverages. The Company has, and continues to be, engaged in discussions with beverage companies on possible partnerships, but cannot guarantee that these discussions will lead to a transaction on terms acceptable to the Company. VANCOUVER, B.C., January 29, 2019 – Sproutly Canada, Inc. (CSE: SPR) (OTCQB: SRUTF) (FRA: 38G) (“Sproutly" or the “Company”) today announced the Company’s financial results for the three and nine months ended November 30, 2018. Cash position of $11.5 million as at November 30, 2018, up from $0.3 million as at August 31, 2018, as a result of completing a $20.7 million bought deal financing in the quarter. The Company also reported working capital of $4.2 million at November 30, 2018. The Company entered into a letter of intent with Global Canna Labs Limited, the Caribbean’s largest medical cannabis producer, to establish a joint venture for the purpose of developing, producing, distributing, marketing and selling cannabis infused beverages, edibles and topical products derived from Sproutly’s fully licensed APP Technology. The Company completed the development and formulation of an initial portfolio of functional beverages with its proprietary naturally water soluble cannabinoids (“Infuz2O”). The beverages combine recently licensed rights for the proprietary water soluble mineral platform (“MiST Platform”) with Infuz20. The initial portfolio consists of three separate cannabis/hemp infused beverages that provide the following functions: a) Focused Energy; b) Stress relief and Relaxation; and, c) Restful sleep support. Following the resignation of Aman Bains from the Board of Directors of the Company, Sproutly announced that the Board had appointed Michael Bellas to fill the casual vacancy left by Mr. Bains. Mr. Bellas is the founder, Chairman and CEO of Beverage Marketing Corporation and has over 45 years of experience in the beverage industry. Sproutly will host a conference call on Tuesday, January 29, 2019 at 10:00 AM Pacific Time, 1:00 PM Eastern Time to answer questions about the Company’s financial highlights. The dial-in numbers for the conference call are 1-800-319-4610 (Canada/USA toll free) or +1-604-638-5340 (International). Please dial in 5 – 10 min prior to the scheduled start time. The Company’s unaudited consolidated interim financial statements and accompanying notes as at and for the three and nine months ended November 30, 2018, and the Company's Management's Discussion and Analysis for the three and nine months ended November 30, 2018 are available under the Company's profile on SEDAR at www.sedar.com. Cautionary Note Regarding Forward-Looking Statements: This release includes certain statements and information that may constitute forward-looking information within the meaning of applicable Canadian securities laws or forward-looking statements within the meaning of the United States Private Securities Litigation Reform Act of 1995. Forward-looking statements relate to future events or future performance and reflect the expectations or believes regarding future events of management of Sproutly Canada. Generally, forward-looking statements and information can be identified by the use of forward-looking terminology such as “intends” or “anticipates”, or variations of such words and phrases or statements that certain actions, events or results “may”, “could”, “should”, “would” or “occur”. This information and these statements, referred to herein as "forward‐looking statements", are not historical facts, are made as of the date of this news release and include without limitation, statements regarding discussions of future plans, estimates and forecasts and statements as to management's expectations and intentions with respect to, among other things, the date of trading of the Sproutly Shares on the CSE and final regulatory approvals. These forward‐looking statements involve numerous risks and uncertainties and actual results might differ materially from results suggested in any forward-looking statements. These assumptions, risks and uncertainties include, among other things, the state of the economy in general and capital markets in particular, and other factors, many of which are beyond the control of Sproutly Canada. Although management of the Company has attempted to identify important factors that could cause actual results to differ materially from those contained in forward-looking statements or forward-looking information, there may be other factors that cause results not to be as anticipated, estimated or intended. There can be no assurance that such statements will prove to be accurate, as actual results and future events could differ materially from those anticipated in such statements. Accordingly, readers should not place undue reliance on forward-looking statements and forward-looking information. Readers are cautioned that reliance on such information may not be appropriate for other purposes. The Company does not undertake to update any forward-looking statement, forward-looking information or financial out-look that are incorporated by reference herein, except in accordance with applicable securities laws. We seek safe harbor. VANCOUVER, BC, January 3, 2019 – Sproutly Canada, Inc. (CSE: SPR) (OTCQB: SRUTF) (FSE: 38G) (“Sproutly" or the “Company”) is pleased to announce it has retained Hybrid Financial Ltd. ("Hybrid") to provide marketing and investor relations services, pursuant to an agreement (the "Agreement") and commenced marketing services on January 2, 2019. Hybrid has been engaged to heighten market awareness and brand awareness for Sproutly and to broaden the Company's reach with investors. Hybrid is a sales and distribution company working in the financial industry on behalf of clients across several market sectors. Hybrid's unique approach helps effectively and efficiently build brands and launch products on behalf of small, medium, and large clients. Offices in Toronto and Montreal allow Hybrid to comprehensively cover both United States and Canadian markets. “We are excited to be working with Hybrid to increase and expand our investor awareness through their pro-active marketing efforts. We have been actively growing our company since going public in July and we are excited to be partnering with Hybrid and their successful, proven model,” said Keith Dolo, CEO of Sproutly. The 6-month agreement has Hybrid being compensated at C$14,000 per month, in addition to an option to purchase up to 350,000 shares of the company, to be awarded in two installments, 50% set within one week of the agreement commencing, and 50% in April 2019. The options will be exercisable at market price when awarded and have a 5-year expiry. There is no prior relationship between Hybrid and the Corporation, nor is there any direct or indirect interest in the Corporation or its securities or any right or intent to acquire such an interest on the part of Hybrid. VANCOUVER, B.C., December 20, 2018 – Sproutly Canada, Inc. (CSE: SPR) (OTCQB:SRUTF) (FRA: 38G) (“Sproutly” or the “Company”) is pleased to announce that it has filed a final short form prospectus (“Prospectus”) and obtained a receipt (the “Receipt”) in each of the provinces of British Columbia, Alberta, Manitoba and Ontario to qualify the distribution of 15,400,000 equity units (the “Equity Units”) issuable upon the deemed exercise of 15,400,000 equity special warrants (the “Equity Special Warrants”) of the Company, and 10,750 convertible debenture units (the “CD Units”) issuable upon the deemed exercise of 10,750 convertible debenture special warrants (the “CD Special Warrants” and, together with the Equity Special Warrants, the “Special Warrants”) of the Company previously issued on October 24, 2018 on a private placement basis pursuant to prospectus exemptions under applicable securities legislation (the “Offering”). The Prospectus also qualifies the distribution of 1,078,000 broker equity warrants (the “Broker Equity Warrants”) issuable upon exercise of 1,078,000 broker equity special warrants (the “Broker Equity Special Warrants”) of the Company and 788,333 broker convertible debenture warrants (the “Broker CD Warrants”) issuable upon exercise of 788,333 broker convertible debenture special warrants (the “Broker CD Special Warrants” and, together with the Broker Equity Special Warrants, the “Underwriter Securities”) of the Company which were issued to Canaccord Genuity Corp., Eight Capital and Haywood Securities Inc. (collectively, the “Underwriters”) as partial consideration for their services rendered in connection with the Offering. Each Broker Equity Warrant is exercisable at $0.65 to acquire one equity compensation unit (each, a “Broker Warrant Unit”) until October 24, 2020. Each Broker Warrant Unit shall be comprised of one common share of the Company (each, a “Broker Share”) and one-half of one common share purchase warrant of the Company (each whole warrant, a “Warrant”). Each Broker CD Warrant is exercisable at $0.75 to acquire one convertible compensation unit (each, a “Convertible Compensation Unit”) until October 24, 2020. Each Convertible Compensation Unit shall be comprised of one Broker Share and one-half of one Warrant. As a result of obtaining the Receipt, the Company has delivered a notice to the special warrant agent and the Underwriters that the Special Warrants shall be deemed to be exercised no later than December 27, 2018. The Underwriter Securities shall also be deemed exercised no later than December 27, 2018 in accordance with their terms. Following the deemed exercise of the Special Warrants and the Underwriter Securities, the Company will issue the Equity Units and the CD Units to the purchasers under the Offering, and the Broker Equity Warrants and the Broker CD Warrants to the Underwriters. For more information on the Offering, please refer to the Prospectus, as well as the Company’s news release dated October 24, 2018, available on the Company’s profile on SEDAR at www.sedar.com. Cautionary Note Regarding Forward-Looking Statements: This release includes certain statements and information that may constitute forward-looking information within the meaning of applicable Canadian securities laws or forward-looking statements within the meaning of the United States Private Securities Litigation Reform Act of 1995. All statements in this news release, other than statements of historical facts, including statements relating to the expected timing of the deemed exercise of the Special Warrants and the Underwriter Securities, are forward-looking statements and contain forward-looking information. Generally, forward-looking statements and information can be identified by the use of forward-looking terminology such as "intends" or "anticipates", or variations of such words and phrases or statements that certain actions, events or results "may", "could", "should", "would" or "occur". Forward-looking statements are based on certain material assumptions and analysis made by the Company and the opinions and estimates of management as of the date of this press release, including that the Special Warrants and the Underwriter Securities will be exercised in accordance with the special warrant indentures or certificates governing such securities. These forward-looking statements are subject to known and unknown risks, uncertainties and other factors that may cause the actual results, level of activity, performance or achievements of the Company to be materially different from those expressed or implied by such forward-looking statements or forward-looking information. Important factors that may cause actual results to vary, include, without limitation, risks that the deemed exercise of the Special Warrants and the Underwriter Securities will not occur at the time anticipated by the Company. Although management of the Company has attempted to identify important factors that could cause actual results to differ materially from those contained in forward-looking statements or forward-looking information, there may be other factors that cause results not to be as anticipated, estimated or intended. There can be no assurance that such statements will prove to be accurate, as actual results and future events could differ materially from those anticipated in such statements. Accordingly, readers should not place undue reliance on forward-looking statements and forward-looking information. Readers are cautioned that reliance on such information may not be appropriate for other purposes. The Company does not undertake to update any forward-looking statement, forward-looking information or financial out-look that are incorporated by reference herein, except in accordance with applicable securities laws. VANCOUVER, BC, Dec 4, 2018 – Sproutly Canada, Inc. (CSE: SPR) (OTCQB: SRUTF) (FSE: 38G) (“Sproutly" or the “Company”) is pleased to announce the hiring of Melise Panetta to the senior leadership team as Vice President of Sales and Marketing to focus on the Company’s branding, marketing and sales objectives of becoming a leading cannabis formulations company focused on beverages. Melise Panetta most recently led the sales strategy as Director of Sales for SC Johnson, a privately held global consumer packaged goods company, responsible for delivering profitable category and brand growth for 200+ customers across multiple classes of trade including Sobeys, Save on Foods, London Drugs, and Federated Co-op among others. Prior to her role as Director of Sales, Melise was Head of Marketing with responsibilities including realigning their investment strategy behind brands, establishing their strategic net revenue framework, and delivering strong market share gains. Previous to SC Johnson, Melise held roles of increasing responsibility at PEPSICO, Inc. (NASDAQ: PEP)for 8 years, and most recently as Senior Marketing Manager, Corporate Initiatives. VANCOUVER, BC, November 29, 2018 – Sproutly Canada, Inc. (CSE: SPR) (OTCQB: SRUTF) (FSE: 38G) (“Sproutly" or the “Company”) is pleased to announce the appointment of Constantine Constandis to the Advisory Board. Mr. Constandis is global C-level executive with over 34 years of experience in the wine and spirits industry in Canada, USA, Europe and Asia. Mr. Constandis was a former senior executive with Pernod Ricard SA (RI:EN Paris), the €37B publicly traded producer of wine and spirits who’s global portfolio includes leading brands such as Absolute Vodka, Jameson, The Glenlivet, and Beefeater, among others; most recently serving as President of Pernod Ricard China and Pernod Ricard Asia Travel Retail. Prior to Pernod Ricard, Mr. Constandis was the CEO of Corby Spirit and Wine Ltd (TSX: CSW.A, CSW.B) the TSX listed alcohol manufacturing and distribution company whose portfolio includes some of the most renowned brands in Canada, including J.P. Wiser’s Canadian whiskies, Lamb’s rum, Polar Ice vodka and McGuinness liqueurs. Mr. Constandis also previously held senior roles at Seagram Company Ltd., including CFO, Europe & Africa. Mr. Constandis holds a Bachelor of Commerce from Concordia University and is a Qualified Chartered Accountant. “We are very pleased with the addition of Constantine Constandis to Sproutly’s Advisory Board” said Keith Dolo, President and CEO of Sproutly. “Constantine is committed to becoming an active member of the Company’s Advisory Board. His experience in brand building, operations, sales and marketing in the highly-regulated spirits industry will prove to be extremely valuable to Sproutly as it continues to develop into a leading cannabis beverage company” he concluded. As a result of the board currently being at its maximum capacity, Constantine will be initially appointed to the Advisory Board until the company’s next Annual General Meeting, at which time the board intends to nominate a larger Board of Directors which will include Constantine as an independent Board of Director member. VANCOUVER, BC, November 28, 2018 – Sproutly Canada, Inc. (CSE: SPR) (OTCQB: SRUTF) (FSE: 38G) (“Sproutly" or the “Company”) is pleased to announce that Michael Bellas, CEO and founder of Beverage Marketing Company (www.beveragemarketing.com) has joined the Company’s board of directors. Mr. Bellas is a seasoned beverage executive who brings over 45 years of experience working with leading beverage companies across all beverage categories. “I have been working in the beverage industry for a long time and have always looked for innovative technologies and companies that could disrupt the industry. As part of my due diligence, I have been working with global beverage companies to achieve a better understanding of APP Technology. It is my belief that Infuz20 demonstrates significant competitive advantages as compared with emulsion and encapsulation methods and solves a number of formulation challenges presented by these incumbent technologies” said Mr. Bellas. “The APP technology licensed by Sproutly will make the production of true consumer beverages with natural ingredients from cannabis plants a reality” he concluded. VANCOUVER, BC, November 20, 2018 – Sproutly Canada, Inc. (CSE: SPR) (OTCQB: SRUTF) (FSE: 38G) (“Sproutly" or the “Company”) is pleased to announce that the license of its wholly-owned subsidiary, Toronto Herbal Remedies Inc. (“THR”) under the Access to Cannabis for Medical Purposes Regulations (“ACMPR”) has been migrated to the Cannabis Act and its regulations. The issuance of the new cannabis license includes the ability to sell cannabis to other licensed producers in accordance with subsection 11(5) of the Cannabis Regulations. As of November 10, 2018, THR also received license amendments approving all of the remaining 16,600 square feet at the facility for additional grow and operations. “Sproutly will continue to execute on its operational plan both within Canada as well as other regulated jurisdictions. This is yet another step towards our facility being fully operational in 2019. This license provides THR the ability to expedite our operational model as well as provide THR with additional avenues for the sale of our products when ready," said Keith Dolo, President and CEO of Sproutly. Cautionary Note Regarding Forward-Looking Statements: This release includes certain statements and information that may constitute forward-looking information within the meaning of applicable Canadian securities laws or forward-looking statements within the meaning of the United States Private Securities Litigation Reform Act of 1995. Forward-looking statements relate to future events or future performance and reflect the expectations or believes regarding future events of management of Sproutly Canada. Generally, forward-looking statements and information can be identified by the use of forward-looking terminology such as “intends” or “anticipates”, or variations of such words and phrases or statements that certain actions, events or results “may”, “could”, “should”, “would” or “occur”. This information and these statements, referred to herein as "forward‐looking statements", are not historical facts, are made as of the date of this news release and include without limitation, statements regarding discussions of future plans, estimates and forecasts and statements as to management's expectations and intentions with respect to, among other things, the expected launch of the Company’s first line of beverage products. These forward‐looking statements involve numerous risks and uncertainties and actual results might differ materially from results suggested in any forward-looking statements. These assumptions, risks and uncertainties include, among other things, the Company successfully completing the development and production of its first line of beverage and cannabis products and obtaining all applicable regulatory approvals from global jurisdictions including Health Canada; satisfying the condition to the license which involves a requirement related to the mandatory cannabis testing for pesticide active ingredients; Cannabis Act and Cannabis Regulations continuing to exist and operate as expected; the continued existence and validity of the license granted to Toronto Herbal Remedies; changes in cannabis research or the general public’s perception of cannabis; and the ability to operate the business as expected. Although management of the Company has attempted to identify important factors that could cause actual results to differ materially from those contained in forward-looking statements or forward-looking information, there may be other factors that cause results not to be as anticipated, estimated or intended, such as the Company’s inability to successfully develop and produce its first line of beverage products or the Company’s inability to obtain any necessary regulatory approvals. There can be no assurance that such statements will prove to be accurate, as actual results and future events could differ materially from those anticipated in such statements. Accordingly, readers should not place undue reliance on forward-looking statements and forward-looking information. Readers are cautioned that reliance on such information may not be appropriate for other purposes. The Company does not undertake to update any forward-looking statement, forward-looking information or financial out-look that are incorporated by reference herein, except in accordance with applicable securities laws. We seek safe harbor. VANCOUVER, BC, November 13, 2018 – Sproutly Canada, Inc. (CSE: SPR) (OTCQB: SRUTF) (FSE: 38G) (“Sproutly" or the “Company”) is pleased to announce that it has entered into a letter of intent with Global Canna Labs Limited (“Global Canna Labs”), the Caribbean’s largest medical cannabis producer, to establish a joint venture for the purpose of developing, producing, distributing, marketing and selling cannabis infused beverages, edibles and topical products derived from Sproutly’s fully licensed, APP Technology (the “LOI”). VANCOUVER, B.C., November 8, 2018 – Sproutly Canada, Inc. (CSE: SPR) (OTCQB: SRUTF) (FRA: 38G) (“Sproutly" or the “Company”) is pleased to announce that it has completed the development and formulation of an initial portfolio of functional beverages with its proprietary naturally water soluble cannabinoids (“Infuz2O”). “The focus of the Company has been to develop products that will distinguish our functional beverages from cannabis/ hemp beverages developed by our competitors. Our competitive advantage is to leverage the suite of proprietary water-soluble technologies we have acquired, and create a line of consumer products that taste great and have a functional purpose”, said Keith Dolo, Chief Executive Officer. “Our beverages not only cater to the emerging cannabis market but also to the large, functional beverage market that exists today”, he added. The functional beverage category is increasingly becoming the popular choice among consumers who are seeking low-calorie, nutrient-dense options as a healthy alternative to traditional beverages. The global functional beverage market is expected to grow at a CAGR of 6.1% to US$93.68 billion by 2019, according to a new study by Grand View Research, Inc.Cannabis in its own right has a long history of being used as a way for users to address wellness and lifestyle needs. Sproutly’s functional beverage formulations address major and growing consumer health and wellness needs for the modern lifestyle. Sproutly’s strategy is founded on its proven ability to acquire proprietary technologies related to water soluble ingredients. Sproutly is among the first in Canada to address the functional beverage market with cannabis/ hemp ingredients that are recovered from the plants in their naturally water soluble form and, therefore, can be stably combined with other water soluble micronutrients (vitamins, minerals, antioxidants, and other natural plant chemicals). These beverages are fully transparent because all the selected ingredients are truly dissolved in water and, like typical consumer beverages, can be packaged in clear glass bottles and refrigerated if desired for a refreshing taste. 2. Infuz20 – naturally water soluble cannabinoids with onset of less than 5 minutes and offset within 90 minutes. 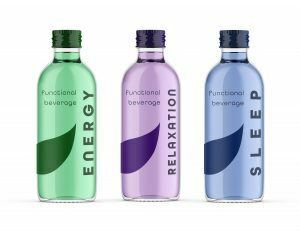 Sproutly’s functional beverage formulations address a number of lifestyle verticals including: mood & energy, relaxation & sleep as well as stress relief. Its functional beverage formulations utilize MiST and Infuz20 to produce enhanced water, beverages, and nutritional micronutrient supplements that include cannabis or hemp strains strategically selected to provide a synergistic experience for the recreational and medicinal markets. Focused Energy Drink– Formulated to deliver mood uplifting & focused energy without the use for caffeine or stimulants. Containing a blend of minerals, vitamins, natural plant chemicals, natural flavors, and Infuz2O derived from one or more strains of cannabis to complement the experience. Relaxation Drink– Formulated to deliver relaxation and stress relief. Containing a blend of minerals, natural plant chemicals, natural flavors, and Infuz2O derived from one or more targeted strains of cannabis to complement the experience. Sleep and Anxiety Relief Drink– Formulated to reduce anxiety and assist restful sleep. Containing a blend of minerals, plant and other natural chemicals, natural flavors, and Infuz2O derived from a targeted variety of hemp to complement the experience. Cautionary Note Regarding Forward-Looking Statements: This release includes certain statements and information that may constitute forward-looking information within the meaning of applicable Canadian securities laws or forward-looking statements within the meaning of the United States Private Securities Litigation Reform Act of 1995. Forward-looking statements relate to future events or future performance and reflect the expectations or believes regarding future events of management of Sproutly Canada. Generally, forward-looking statements and information can be identified by the use of forward-looking terminology such as “intends” or “anticipates”, or variations of such words and phrases or statements that certain actions, events or results “may”, “could”, “should”, “would” or “occur”. This information and these statements, referred to herein as "forward‐looking statements", are not historical facts, are made as of the date of this news release and include without limitation, statements regarding discussions of future plans, estimates and forecasts and statements as to management's expectations and intentions with respect to, among other things, the expected launch of the Company’s first line of beverage products. These forward‐looking statements involve numerous risks and uncertainties and actual results might differ materially from results suggested in any forward-looking statements. These assumptions, risks and uncertainties include, among other things, the Company successfully completing the development and production of its first line of beverage products and obtaining all applicable regulatory approvals including from Health Canada. Although management of the Company has attempted to identify important factors that could cause actual results to differ materially from those contained in forward-looking statements or forward-looking information, there may be other factors that cause results not to be as anticipated, estimated or intended, such as the Company’s inability to successfully develop and produce its first line of beverage products or the Company’s inability to obtain any necessary regulatory approvals. There can be no assurance that such statements will prove to be accurate, as actual results and future events could differ materially from those anticipated in such statements. Accordingly, readers should not place undue reliance on forward-looking statements and forward-looking information. Readers are cautioned that reliance on such information may not be appropriate for other purposes. The Company does not undertake to update any forward-looking statement, forward-looking information or financial out-look that are incorporated by reference herein, except in accordance with applicable securities laws. We seek safe harbor. VANCOUVER, B.C., November 1, 2018 – Sproutly Canada, Inc. (CSE: SPR) (FRA: 38G) (OTCQB: SRUTF) (“Sproutly" or the “Company”) is pleased to announce that its wholly-owned subsidiary Toronto Herbal Remedies Inc. (“THR”), a licensed producer under the ACMPR, located in the Greater Toronto Area (the “Cultivation Facility”) has submitted an “addition of activity” in the month of October, to its Health Canada license, in order to produce cannabis oils. Sproutly also updates, that its cannabis plants are in a very healthy state as it progresses through its cultivation phase. "We filed the results of our second quarter on Sedar on October 30, 2018. It was a pivotal quarter for us as we finalized a number of significant developments in the evolution of Sproutly. In this quarter we completed our public listing on the CSE, obtained our cultivation license from Health Canada, and completed a transformational acquisition of Infusion Biosciences Canada Inc. and SSM Partners Inc.”, stated Keith Dolo, President and Chief Executive Officer of Sproutly. “With the completion of these milestones and the proceeds of our recent $20 million financing, we are well positioned to execute on our plans to advance the business in order to scale and become the leading supplier to the cannabis beverage and edibles market. VANCOUVER, B.C. , October 24, 2018 – Sproutly Canada, Inc. (CSE: SPR) (FRA: 38G) (OTCQB: SRUTF) (“Sproutly" or the “Company”) is pleased to announce that it has closed its previously announced bought deal offering, including the partial exercise of the underwriters’ over-allotment option in the form of convertible debenture special warrants of the Company (the “CD Special Warrants”). A total of 10,750 CD Special Warrants at a price per CD Special Warrant of $1,000 and 15,400,000 equity special warrants of the Company (the “Equity Special Warrants”) at a price per Equity Special Warrant of $0.65 were issued for aggregate gross proceeds of approximately $20.7 million (the “Offering”). The Offering was led by Canaccord Genuity Corp., on behalf of a syndicate of underwriters that included Haywood Securities Inc. and Eight Capital (collectively, the “Underwriters”). The holders of CD Special Warrants will receive, upon such deemed exercise and for no additional consideration, one convertible debenture unit of the Company (the "CD Units") for each CD Special Warrant held. Each CD Unit will be comprised of one senior unsecured convertible debenture of the Company (each, a "Convertible Debenture") and 667 common share purchase warrants (each, a "Warrant").Each Warrant will entitle the holder to purchase one common share of the Company (each, a “Common Share”) at an exercise price of $0.90 per Common Share for a period of 24 months from the date of closing of the Offering. The holders of Equity Special Warrants will receive, upon such deemed exercise and for no additional consideration, one unit of the Company (the "Equity Units") for each Equity Special Warrant held. Each Equity Unit will be comprised of one Common Share and one-half of one Warrant. The Convertible Debentures shall bear interest at a rate of 8.0% per annum from the date of issue, payable semi-annually in arrears on June 30 and December 31 of each year. The Convertible Debentures will have a maturity date of 24 months from the closing date of the Offering (the "Maturity Date"). The Convertible Debentures will be convertible at the option of the holder into Common Shares at any time prior to the close of business on the Maturity Date at a conversion price of $0.75 per Common Share (the "Conversion Price"). The Convertible Debentures will be subject to redemption, in whole or in part, by the Company at any time following the date that is 12 months from the date of issuance upon giving holders not less than 30 and not more than 60 days' prior written notice, at a price equal to the then outstanding principal amount of the Convertible Debentures plus all accrued and unpaid interest up to and including the redemption date. Upon a change of control of the Company, holders of the Convertible Debentures will have the right to require the Company to repurchase their Convertible Debentures, in whole or in part, on the date that is 30 days following the change of control, at a price equal to 105% of the principal amount of the Convertible Debentures then outstanding plus accrued and unpaid interest thereon (the "Offer Price"). If 90% or more of the principal amount of the Convertible Debentures outstanding on the date of the notice of the change of control have been tendered for redemption, the Company will have the right to redeem all of the remaining Convertible Debentures at the Offer Price. The Company has agreed to use its best efforts to obtain a receipt for a final short form prospectus qualifying the distribution of the CD Units and Equity Units upon exercise of the CD Special Warrants and Equity Special Warrants respectively (together, the "Prospectus Qualification") on or before the date that is 60 days following closing of the Offering (the "Qualification Deadline"). If the Prospectus Qualification does not occur before the Qualification Deadline, each holder shall be entitled to receive, without payment of additional consideration, 1.05 CD Units per CD Special Warrant or 1.05 Equity Units per Equity Special Warrant. Until the Prospectus Qualification occurs, securities issued in connection with the Offering will be subject to a 4-month hold period from the date of issue. VANCOUVER, B.C., October 12, 2018 – Sproutly Canada, Inc. (CSE: SPR) (FRA: 38G) (OTCQB: SRUTF) (“Sproutly" or the “Company”) is pleased to announce that its common shares were upgraded and approved for trading on the OTCQB® Venture Market (“OTCQB”) in the United States and that the Company has been added to the Canadian Securities Exchange’s CSE 25 Index (“CSE 25 Index”). The symbol for trading of Sproutly’s common shares in the United States on the OTCQB is “SRUTF”. Sproutly continues to trade on the Canadian Securities Exchange (“CSE”) under the trading symbol “SPR”. The OTCQB in the United States is similar to the CSE in Canada for early stage and developing international companies. To be eligible for the OTCQB, companies must be current in their financial reporting, pass a minimum bid price test and undergo an annual company verification and management certification process. Sproutly has been added to the CSE 25 Index.The Index includes the top twenty-five securities by market capitalization contained in the CSE’s composite index. These companies account for over 50% of the weighting in the larger index and are typically stocks that attract considerable trading volume. VANCOUVER, B.C., September 26, 2018 – Sproutly Canada, Inc. (CSE: SPR) (FRA: 38G) (“Sproutly" or the “Company”) is pleased to announce that it has entered into a letter of engagement with Canaccord Genuity Corp. to act as lead underwriter and sole bookrunner (“Canaccord Genuity”) under which Canaccord Genuity has agreed to purchase 10,000 convertible debenture special warrants of the Company (the "CD Special Warrants") on an underwritten basis at a price per CD Special Warrant of $1,000 for aggregate gross proceeds of $10 million (the "CD Offering"). Canaccord Genuity has also agreed to purchase 15,400,000 equity unit special warrants of the Company (the “Equity Unit Special Warrants”) on an underwritten basis at a price per Equity Unit Special Warrant of $0.65 for aggregate gross proceeds of approximately $10 million (the “Equity Unit Offering”). The CD Offering and the Equity Unit Offering are collectively the “Offering” and the CD Special Warrants and Equity Unit Special Warrants are together the “Offered Securities”. Prior to closing the Offering, Canaccord Genuity and the Company may agree to form a syndicate of underwriters. The Company has also granted Canaccord Genuity an option to purchase up to an additional 15% of the base offering of the Offered Securities, which option is exercisable by giving notice to the Company not less than 48-hours prior to the closing of the Offering. Closing of the Offering is expected to occur on October 18, 2018. If this option is exercised in full, an additional $3.0 million will be raised pursuant to the Offering and the aggregate proceeds of the Offering will be approximately $23 million. Each CD Special Warrant and Equity Unit Special Warrant not previously exercised will be automatically exercised, without payment of additional consideration, on the earlier of: (i) the Qualification Deadline (as defined below); and (ii) the third business day after the Prospectus Qualification (as defined below). The holders of CD Special Warrants will receive, upon such deemed exercise and for no additional consideration, one convertible debenture unit of the Company (the "CD Units") for each CD Special Warrant held. Each CD Unit will be comprised of one unsecured convertible debenture of the Company (each, a "Convertible Debenture") and 667 common share purchase warrants ( a " Warrant").Each Warrant will entitle the holder to purchase one common share of the Company (each, a “Common Share”) at an exercise price of $0.90 per Common Share for a period of 24 months from the date of closing of the Offering. The holders of Equity Unit Special Warrants will receive, upon such deemed exercise and for no additional consideration, one unit of the Company (the "Equity Units") for each Equity Unit Special Warrant held. Each Equity Unit will be comprised of one Common Share and one-half of one Warrant. The Company has agreed to use its best efforts to obtain a receipt for a final short form prospectus qualifying the distribution of the CD Units and Equity Units upon exercise of the CD Special Warrants and Equity Unit Special Warrants respectively (together, the "Prospectus Qualification") on or before the date that is 60 days following closing of the Offering (the "Qualification Deadline"). If the Prospectus Qualification does not occur before the Qualification Deadline, each holder shall be entitled to receive, without payment of additional consideration, 1.05 CD Units per CD Special Warrant or 1.05 Equity Units per Equity Unit Special Warrant. Until the Prospectus Qualification occurs, securities issued in connection with the Offering will be subject to a 4-month hold period from the date of issue. The Company intends to use the net proceeds of the Offering to fund expansion and other general corporate purposes. The closing date of the Offering is scheduled to be on or about October 18, 2018 and is subject to certain customary conditions including, but not limited to, the receipt of all necessary approvals, including the approval of the Canadian Securities Exchange and the applicable securities regulatory authorities. Cautionary Note Regarding Forward-Looking Statements: This release includes certain statements and information that may constitute forward-looking information within the meaning of applicable Canadian securities laws or forward-looking statements within the meaning of the United States Private Securities Litigation Reform Act of 1995. All statements in this news release, other than statements of historical facts, including statements regarding future estimates, plans, objectives, timing, assumptions or expectations of future performance, including information concerning the Offering and the anticipated closing date and use of proceeds thereof, are forward-looking statements and contain forward-looking information. Generally, forward-looking statements and information can be identified by the use of forward-looking terminology such as "intends" or "anticipates", or variations of such words and phrases or statements that certain actions, events or results "may", "could", "should", "would" or "occur". Forward-looking statements are based on certain material assumptions and analysis made by the Company and the opinions and estimates of management as of the date of this press release, including that regulatory approval of the Offering will be obtained in a timely manner; and that the agreement with Canaccord Genuity will not be terminated in accordance with its terms. These forward-looking statements are subject to known and unknown risks, uncertainties and other factors that may cause the actual results, level of activity, performance or achievements of the Company to be materially different from those expressed or implied by such forward-looking statements or forward-looking information. Important factors that may cause actual results to vary, include, without limitation, risks that the Company will not obtain the requisite approvals or otherwise satisfy the necessary conditions precedent to complete the Offering. Although management of the Company has attempted to identify important factors that could cause actual results to differ materially from those contained in forward-looking statements or forward-looking information, there may be other factors that cause results not to be as anticipated, estimated or intended. There can be no assurance that such statements will prove to be accurate, as actual results and future events could differ materially from those anticipated in such statements. Accordingly, readers should not place undue reliance on forward-looking statements and forward-looking information. Readers are cautioned that reliance on such information may not be appropriate for other purposes. The Company does not undertake to update any forward-looking statement, forward-looking information or financial out-look that are incorporated by reference herein, except in accordance with applicable securities laws. VANCOUVER, B.C., August 22, 2018 – Sproutly Canada, Inc. (CSE: SPR) (FRA: 38G) (“Sproutly" or the “Company”) is pleased to announce that it has entered into an exclusive technology license and use agreement (“License Agreement”) with Minnesota State based, Micronutrient Technologies Inc. (“MTI”) to utilize its proprietary platform known as Minerals in Solution Technology (“MiST”) for use in creating cannabis and hemp based beverages in select jurisdictions around the world. Under the License Agreement, Sproutly will be granted the exclusive right to utilize MiST and its water soluble nutritional minerals to produce enhanced water, beverages, and soluble nutritional mineral supplements that include a cannabis or hemp component for the recreational and medicinal markets. The license is applicable in Canada, Australia, Jamaica, Israel, and all countries that are part of the European Union as of the date of the Licensing Agreement. MiST is a patent-pending technology that produces a 100% water soluble form of multiple minerals (Including calcium, magnesium, zinc, potassium, sodium and trace minerals such as copper, iron, manganese, strontium) on the same molecular platform. MiST offers an unprecedented versatility in formulating unique combinations of micronutrients that address the growing consumer needs for health and wellness in modern lifestyle. MiST produces stand-alone or custom blends of minerals with other micronutrients in water solutions that will fortify a beverage in a single manufacturing step and has proven to be shelf stable in beverages for at least 2 years. The license provides Sproutly with the know-how developed over a decade in designing innovative beverages with multiple nutrients, including nutritional minerals, which are essential for health and wellness. · Delivering in a state where the body does not have to process further to make it available. MiST produces highly concentrated true water solutions of essentially all nutritional minerals individually, in blends of multiple minerals, and in blends with other micronutrients with compositions that are customized for products targeting different customer bases. MTI is a fortification technology and formulation company focused on the water, beverage, food, and dietary supplement markets. Using its proprietary platform technology known as Minerals in Solution Technology (MiST), MTI is able to produce water soluble minerals that can be used to formulate unique multi-nutrient formulations in true water solutions, as an ideal nutrient delivery system. MTI was co-founded by Dr. Sen and is currently the only company that offers multiple food grade, 100% water-soluble minerals on a single molecular platform that provides the versatility to combine multiple minerals with other micronutrients (vitamins, and natural plant chemicals) in a single water solution without artificial chemical additives. VANCOUVER, B.C., August 14, 2018 – Sproutly Canada, Inc. (CSE: SPR) (FRA: 38G) (“Sproutly" or the “Company”) is pleased to announce that Infusion Biosciences Inc. (“Infusion Biosciences”), the Licensor of the APP Technology to Sproutly, has entered into a research collaboration agreement with Trace Research Institute, LLC (“Trace”), an independent research company that offers various testing, research, regulatory and consulting services for the cannabis industry in Washington State (US). Sproutly will benefit from the research collaboration as a licensee of the APP Technology from Infusion Biosciences as the Analytical Methods (defined below) are made available in the jurisdictions for which it holds an exclusive license from Infusion Biosciences. “The development of Analytical Methods is not only a key milestone in the commercial implementation of the APP Technology, but also an answer to a challenge the global cannabis industry faces with accurately measuring cannabinoids when they are formulated into cannabis beverages using methods available today”, said Keith Dolo Chief Executive Officer of Sproutly. Mr. Fagras further commented: “This is why our research collaboration with Infusion Biosciences is so unique in that the samples are naturally in water solution(s) where, we have seen not seen fallout of any manner so far, and thus we feel they are highly shelf stable. Modifying sample processing and analytical testing with these concentrated water solutions of cannabinoids (and terpenes) should provide us with a unique opportunity to develop analytical methods for cannabis beverages”. “Phytochemicals such as cannabinoids and terpenes have so far been extracted as free oils from cannabis plants. Analytical methods developed to date for these oil molecules are not useful in measuring the potency of Infusion Biosciences’s “Infuz2O”, the naturally water soluble forms of these molecules produced as water solutions by Infusion Biosciences’s proprietary recovery process known as the APP technology”, said Dr. Arup Sen, Chief Science Officer of Sproutly as well as Co-Founder and Director of Infusion Biosciences. “In order to develop and sell beverage products developed using Infuz2O to deliver the benefits and experiences of cannabis plants, sensitive and robust analytical methods need to be developed”, he added. Under the Agreement, Infusion Biosciences will supply Trace with naturally water soluble cannabis phytochemicals (“Infuz2O”) produced by Infusion Biosciences’s proprietary APP technology. The research collaboration will focus on developing and validating analytical methods for the detection and measurement of cannabis phytochemicals in water solutions (“Analytical Methods”). Under the Agreement Trace will be granted an exclusive right to use the intellectual property resulting from the collaboration to develop and commercialize analytical testing services used to qualify cannabis/hemp products in the legal jurisdictions in the United States. Infusion Biosciences will retain worldwide rights to the intellectual property for other uses. The companies will work together to enable testing laboratories in other legal jurisdictions in the world. VANCOUVER, B.C., August 1, 2018 – Sproutly Canada, Inc. (CSE: SPR) (FRA: 38G) (“Sproutly" or the “Company”) is pleased to announce that it has completed the acquisition of all of the issued and outstanding shares of Infusion Biosciences Canada Inc. (“Infusion Biosciences Canada”) and SSM Partners Inc. (“SSM”) (collectively, the “Acquisition”). “Combining with Sproutly allows Infusion Biosciences to produce and sell innovative consumer products in several countries where cannabis use is legal. Together, we are positioned to leverage our APP Technology to become a leader in the beverage industry and broaden the consumer base with products that will deliver controlled doses that meet expectations for cannabis experiences”, said Dr. Arup Sen, Chief Executive Officer of Infusion Biosciences Inc. (“Infusion Biosciences”). “As a natural water solution, Infuz2O is the best means to deliver the medicinal benefits of cannabis to patients suffering from symptoms associated with major chronic diseases like cancer and pain”, added Dr. Sen. Significant Discovery and Recovery of Naturally Water Soluble Cannabinoids – Infusion Biosciences has discovered and produced naturally water soluble bioactive molecules that deliver the full experience of cannabis paralleling the onset and offset profiles of smoking but, avoids the undesirable features that have kept a vast majority of consumers away. Positions Sproutly to Become a Leader in Beverages, Edibles and Tinctures –Sproutly is now positioned to fulfill its mission as a vertically integrated cannabis consumer products company focused on redefining the cannabis industry with a clear focus on beverage and additional consumer products by solving the technologic limitations associated with blending oils extracted by traditional means into water. 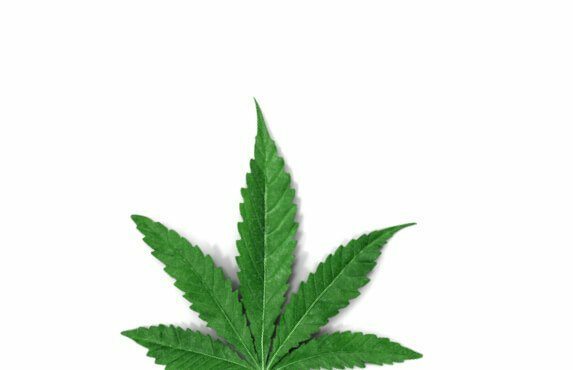 Exclusive License for Key Regulated Recreational and Medicinal Jurisdictions –Sproutly gains the exclusive rights for APP Technology in Canada, the European Union, Australia, Israel, and Jamaica. 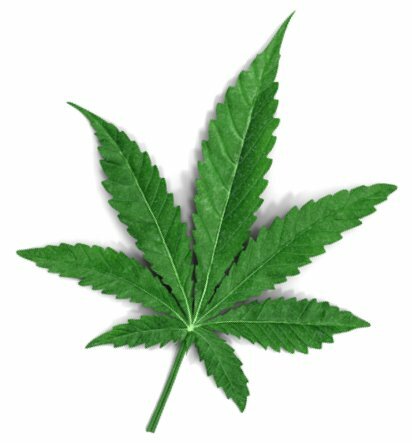 Low Cost, Scalable, Gentle Process to Produce Bioactive Molecules as an Alternative to Current Oil Extraction Methods – APP Technology is a patent-pending process that uses proprietary combinations of common dietary ingredients to gently recover naturally water-soluble cannabinoids and also the free cannabis oils in natural oils. APP Technology recovers between 85% - 90% of the total bioactive cannabinoids in the plant, distributed between Infuz20 and Bio-Natural Oil. an earn-out of up to 22,114,605 Sproutly Shares upon Sproutly achieving certain milestones as set forth in the SSM SPA. Infusion Bioscience Canada, through its licensing agreement with Infusion Biosciences, owns the exclusive rights to utilize APP Technology for recreational and medicinal cannabis markets in Canada, Australia, Israel, Jamaica, Germany, and the European Union. In connection with the agreements to acquire Infusion Biosciences Canada, Dr. Arup Sen will assume the role of Chief Science Officer and join the board of directors of the Resulting Issuer upon closing of the Proposed Acquisition. Dr. Sen’s business career started in the biotechnology and biopharmaceutical industry in 1982. He has managed R&D, intellectual property strategy and corporate development (negotiating and managing licenses and joint ventures) with domestic and international companies (J&J, Biomet, GCC and Tokuyama Soda of Japan, Sandoz/Novartis and others). He also has taken three companies from start-up through public trading and has served as the CEO of public and private companies. He received his Ph.D. in biochemistry from Princeton University. His nearly decade long academic career as a faculty member at the National Cancer Institute (Bethesda, Maryland) and at the Scripps Research Institute (La Jolla, California) focused on cancer research. Dr. Sen has published several dozen papers in top ranking international journals and authored a book on bone diseases. He is an inventor on a number of US patents and numerous international patents and pending patent applications in the fields of cancer therapeutics, bone repair biologics, medical therapeutic devices, and molecular diagnostics. Sproutly Canada, Inc. (formerly Stone Ridge Exploration Corp.) (“Sproutly" or the “Company”) is pleased to announce that effective at the open of the market today, Sproutly’s common shares will be listed and will commence trading on the Canadian Securities Exchange (the "CSE") under the three-letter ticker symbol "SPR". Sproutly is an ACMPR Licensed Producer of cannabis that strives to meet the evolving needs of cannabis consumers across Canada. Its mission is to become a vertically integrated cannabis consumer products company, bringing together best-in-class cultivation, secured distribution solutions, and advanced technologies to redefine the cannabis industry. Sproutly currently owns and operates a 16,600 sq. ft. production facility located centrally in the GTA utilizing state-of-the-art production technology and methods designed to best-in-class standards. The Company previously announced signing of letters of intent to acquire 1) Infusion Biosciences Canada Inc, a biotech company possessing the rights to Infusion Biosciences Inc.’s (“Infusion Biosciences”) APP Technology for specific jurisdictions; and 2) SSM Partners Inc., a management company engaged in the commercialization of products and formulation services for APP Technology in specific jurisdictions, (together referred to as “Infusion Biosciences Canada” or the “Proposed Acquisition”). The transaction is expected to be completed in July. The Proposed Acquisition brings together a disruptive and truly ground breaking technology in the growing cannabis beverage category and an ACMPR licensed producer with a strategically located cultivation facility. Licensed Producer Under the ACMPR – Its wholly owned subsidiary Toronto Herbal Remedies owns and operates a completed 16,600 sq. ft. facility with production capacity of up to 1,400 kg per year with state of the art production technology and methods designed to best-in-class standards. Strategically Located to Service the Greater Toronto Area (“GTA”) - Cultivation Facility and distribution strategically in the GTA with the ability to service 6.4 million adults in the GTA with a same day delivery service and an oversized Level 9 Vault allows for the ability to act as distribution centre for other LP’s(1). Infuz2O – A naturally water-soluble cannabis solution delivering a new form of consuming cannabis in a beverage that mimics the onset/offset features comparable to smoking It will be formulated into beverages/drinks which deliver the effects of cannabis, fully dissolving in water with a fast onset time of less than 5 minutes, clearing (offset) within 90 minutes. Bio Natural Oil (“BNO”) – Cannabinoid oils infused into natural edibles or transdermal delivery while retaining strain specific characteristics. The development of Infusion Biosciences’ APP technology and the creation of its Infuz2O and BNO, is based on over 12 years of R&D on the recovery of water soluble phytochemicals from medicinal plants and over 25 years in discovery and development of biotechnology and pharmaceutical drugs. Sproutly is an ACMPR Licensed Producer of cannabis that strives to meet the evolving needs of cannabis consumers across Canada. Its mission is to become a vertically integrated cannabis consumer products company, bringing together best-in-class cultivation, secured distribution solutions, and advanced technologies to redefine the cannabis industry. Sproutly currently owns and operates a 16,600 sq. ft. production facility located centrally in the GTA utilizing state-of-the-art production technology and methods designed to pharma-grade standards. Sproutly’s strategy is focused on developing and deploying novel technologies to formulate and market unique cannabis products in a rapidly evolving consumer market. For more information on Sproutly please visit www.sproutly.ca. Sproutly Canada, Inc. (formerly Stone Ridge Exploration Corp.) (“Sproutly Canada" or the “Company”) is pleased to announce that it has closed the previously announced proposed plan of arrangement under the Canada Business Corporations Act (the “Arrangement”) pursuant to which, among other things, Sproutly, Inc. ("Sproutly") completed a reverse takeover of Stone Ridge Exploration Corp. (“Stone Ridge”). Immediately prior to the completion of the Arrangement, Stone Ridge completed a consolidation of its issued and outstanding common shares on the basis of one post-consolidation share for every two pre-consolidation shares. Pursuant to the Arrangement, among other things, shareholders of Sproutly received approximately two (2) post-Consolidation common shares of Stone Ridge in exchange for each common share of Sproutly held by such shareholder immediately prior to the effective time of the Arrangement. As a result of the Arrangement, former shareholders of Sproutly hold approximately 84% of the issued and outstanding common shares of the Company (the “Sproutly Shares”) immediately after completion of the Arrangement. The Company will continue the business of Sproutly as described below. Prior to the completion of the Arrangement, the Canadian Securities Exchange (the "CSE") conditionally approved the listing of the Sproutly Shares. Listing of the Sproutly Shares is subject to, among other things, satisfaction of the customary listing conditions of the CSE. Subject to satisfaction of these and other conditions, the Sproutly Shares are expected to begin trading on the CSE on July 9, 2018 under the trading symbol "SPR". "Sproutly Canada’s public listing on the CSE is a major milestone in the development of our business and provides investors with a unique public vehicle to participate in the Canadian legal cannabis market with a company focused on becoming a vertically integrated cannabis consumer products company, bringing together best-in-class cultivation, secured distribution solutions, and advanced technologies to redefine the cannabis industry,” said Keith Dolo, Chief Executive Officer, Sproutly Canada. Upon closing of the Arrangement, the Board of Directors of Sproutly Canada is comprised of Keith Dolo, Aman Bains, Gregg Orr, and Justin Kates. Keith Dolo has been appointed as Chief Executive Officer of Sproutly Canada, together with Craig Loverock (Chief Financial Officer) and Karin Studer (Chief Operating Officer). A listing statement describing Sproutly Canada, prepared in accordance with the policies of the CSE, will be made available on the CSE’s website and on SEDAR at www.sedar.com. The information regarding Sproutly Canada and the Arrangement in this press release is qualified in its entirety by reference to the more detailed disclosure included in the listing statement. Upon closing of the Arrangement, Sproutly Canada granted an aggregate of 3,100,000 stock options (the “Options”) to purchase Sproutly Shares to certain incoming directors, officers, employees and consultants of the Company in accordance with the Company’s stock option plan. The Options will vest in equal installments every six (6) months, commencing six (6) months from the issue date and will be exercisable into Sproutly Shares until July 6, 2028. There are currently a total of 123,060,267 Sproutly Shares issued and outstanding and options and warrants exercisable to purchase up to an additional 25,114,626 Sproutly Shares, in aggregate. In connection with assisting Stone Ridge in the identification, negotiation and implementation of a transaction that would result in a reverse takeover transaction of Stone Ridge, 3,853,687 Sproutly Shares (the “Finder Shares”) were issued to an arm’s length party as a finder’s fee upon closing of the Arrangement. The issuance of the Finder Shares does not result in the creation of a new “Related Person” (as such term is defined in the CSE Policies). Novus Merchant Partners Inc. acted as the exclusive financial advisor to Sproutly. VANCOUVER, BRITISH COLUMBIA - June 2018 - Sproutly is pleased to announce that, via its wholly-owned subsidiary Toronto Herbal Remedies Inc. (“THR”), has received its Access to Cannabis for Medical Purposes Regulations ("ACMPR") license from Health Canada to cultivate cannabis (the “Cultivation License”). Following the granting of the license, Toronto Herbal Remedies is now permitted to cultivate cannabis at its 16,600 sq ft. facility strategically located in the Greater Toronto Area. This announcement follows shortly after Sproutly entered into non-binding letters of intent to Acquire Infusion Biosciences Canada Inc., a biotech company possessing the rights to Infusion Biosciences Inc.’s technology which is able to recover water soluble cannabinoids as well as the plant’s oil-based bioactive materials using a patent pending process, proprietary reagents and trade secrets (“APP Technology”) and SSM Partners Inc.
VANCOUVER, B.C., May 23, 2018 – Sproutly Inc. (“Sproutly” or the “Company”) is pleased to announce that it has entered into non-binding letters of intent (the “Letters of Intent”) to acquire: 1) Infusion Biosciences Canada Inc., a biotech company possessing the rights to Infusion Biosciences Inc.’s (“Infusion Biosciences”) APP Technology (defined below) for specific jurisdictions; and 2) SSM Partners Inc., a management company engaged in the commercialization of products and formulation services for APP Technology in specific jurisdictions, (together referred to as “Infusion Biosciences Canada” or the “Proposed Acquisition”). The transaction is expected to be completed by the end of June 2018. Significant Discovery and Recovery of Naturally Water Soluble Cannabinoids – Infusion Biosciences has discovered and been able to recover naturally water soluble cannabinoids which deliver the effects of cannabis within five minutes and dissipate within 90 minutes, paralleling the effects of smoking cannabis. Positions Company to Become a Leader in Cannabis Beverages – Access to APP Technology, and in particular, Infuz2O will position Sproutly, subject to the Government of Canada’s authorization of the legal sale of cannabis edible products and concentrates, as a leader in cannabis beverage for regulated markets with a solution to the traditional onset, offset and formulation challenges of cannabis oils in beverage and edibles. Novel Low Cost and Scalable Recovery Process as an Alternative to Current Extraction Methods – APP Technology is a patent-pending process able to recover both water soluble cannabinoids and cannabis oils in a low-cost manner which is highly scalable with non-specialized equipment and organic & GRAS certified mediums. Broadens Sproutly’s Management Team – The addition of Dr. Sen and Mr. Marcellino to Sproutly’s executive management team provides additional experience in scientific research and commercialization of disruptive technologies. Exclusive License for Key Regulated Jurisdictions – By way of its acquisition of Infusion Biosciences Canada, Sproutly will obtain the exclusive rights for APP Technology in Canada, Australia, Israel, Jamaica, Germany, and the European Union. Sproutly has entered into a binding definitive agreement dated February 7, 2018 with Stone Ridge Exploration Corp. (“Stone Ridge”) whereby Stone Ridge is to acquire a 100% interest in Sproutly, which will constitute a reverse takeover of Stone Ridge by the shareholders of Sproutly (the “Sproutly Reverse Take Over”) (together referred to as the “Resulting Issuer”). Stone Ridge trades on the Canadian Securities Exchange (“CSE”) under the ticker symbol CSE:SO. Pursuant to the Letters of Intent, Infusion Biosciences Canada Inc. shareholders will receive consideration of 36.9 million common shares of the Resulting Issuer and $5 million of cash (the “Infusion Biosciences Canada Consideration”) for their Infusion Biosciences Canada common shares and the ability to earn an additional 14.7 million common shares of the Resulting Issuer, subject to certain earn out provisions (the “Earn Out Consideration”). Pursuant to the Letters of Intent, SSM Partners Inc. shareholders will receive consideration of $25,000 for their SSM Partners Inc. common shares with the ability to earn an additional 22.1 million common shares of the Resulting Issuer and $5 million of cash, subject to certain earn out provisions (the “SSM Contingent Consideration”). Infusion Bioscience Canada, through its licensing agreement with Infusion Biosciences, is the owner of the exclusive rights to utilize APP Technology for the recreational and medical cannabis markets in Canada, Australia, Israel, Jamaica, Germany, and the European Union. SSM Partners is a management consulting company engaged in research, commercialization and formulation of technologies for the cannabis industry. SSM Partners has been tasked by Infusion Biosciences Canada with certain research and management activities related to APP Technology. In connection with the agreements to acquire Infusion Biosciences Canada Paul Marcellino will join Sproutly as Business Development Officer upon closing of the Proposed Acquisition. Mr. Marcellino graduated in 2005 with a degree in Chemistry and has served as CEO and Co-Founder of an award-winning nutraceutical company focused on innovative cultivation, extraction and product development. He brings his international business experience and network to the table and has assembled a team of diverse professionals with proven track records to bring Infusion Biosciences into the forefront of the global cannabis industry. Paul has both the vision and the skill needed to create and implement a plan for growth by developing teams and processes starting at a grassroots level. He has the proven ability to see opportunity and provide leadership for strategic networking that will further the success of the company through research, planning, and execution. Novus Merchant Partners Inc. is acting as the exclusive financial advisor to Infusion Biosciences. Sproutly is an emerging Canadian cannabis company that strives to meet the evolving needs of cannabis consumers across Canada. Through its wholly owned subsidiary (Toronto Herbal Remedies Inc.) Sproutly is a final-stage applicant for licensing by Health Canada to produce cannabis under the ACMPR. It currently owns and operates a 16,600 sq. ft. production facility located centrally in the GTA with an oversized level 9 vault with capacity of up to $32 million enabling the opportunity to act as a strategic distribution hub for the Greater Toronto Area enabling same-day deliveries (1). The Company’s strategy is focused on developing and deploying novel technologies to formulate and market unique cannabis products in a rapidly evolving consumer market. VANCOUVER, BRITISH COLUMBIA – November 23, 2017 – Stone Ridge Exploration Corp. (CSE:SO) (“Stone Ridge” or the “Company”), is pleased to announce that it has entered into a non-binding letter of intent (the “LOI”) with Sproutly Inc. (“Sproutly”) which outlines the general terms and conditions of a proposed transaction (the “Proposed Transaction”) that will result in Stone Ridge acquiring all of the issued and outstanding shares of Sproutly issued and outstanding at the time of closing (the “Sproutly Shares”). Shareholders of Sproutly will essentially receive two (2) post-consolidation common shares in the capital of Stone Ridge (“Stone Ridge Shares”), in exchange for each common share in the capital of Sproutly held by such shareholder at the time of closing. Prior to and as a condition precedent to closing, Sproutly will have acquired all of the issued and outstanding shares of Toronto Herbal Remedies Inc. (“THR”), as discussed below. It is expected that following the closing of the Proposed Transaction, the Resulting Issuer (as defined below) will have 97,050,502 common shares issued and outstanding on a post-transaction basis. The Proposed Transaction is currently expected to be completed by way of a three cornered amalgamation, or an acquisition of the Sproutly Shares by merger, amalgamation, plan of arrangement, reorganization, business combination, sale of all or substantially all of the assets, or exchange of assets or securities in a similar transaction between Stone Ridge and Sproutly or other similar transaction which will result in Sproutly becoming a wholly-owned subsidiary of Stone Ridge.